OVERVIEW: This comprehensive guide explores the difference between a fixed mindset and a growth mindset, offering actionable strategies to cultivate a growth mindset critical for long-term success. Do you often try new things and push yourself into uncharted territory in your development? Or do you tend to stick with what you know? Your answer to these questions reveals your mindset. Stanford University psychologist Carol Dweck was curious why some people in life thrive while others flounder. She studied the underpinnings of success and achievement for over four decades. Her major contribution is the distinction between a fixed mindset and a growth mindset. Let’s explore what these mindsets really mean, why they are important, how to determine which one you have, and how to change our mindsets. Step 2: Recognize that you have a choice. Step 4: Take the growth mindset action. In a fixed mindset, individuals believe they are either born with talent or they’re not. They’re either naturally good at something, or they’re not. They view intelligence as a fixed trait. They believe inborn talent determines success. Individuals with a growth mindset believe talent comes through effort. They believe anyone can be good at anything; that their abilities can be developed through dedication, perseverance, and the right strategy. Individuals with a fixed mindset seek to validate themselves. Individuals with a growth mindset focus on developing themselves. Although this distinction may seem simple, the implications are enormous. Individuals who adopt a fixed mindset rarely excel at anything. Because they believe their intelligence and abilities are what they are, they invest their energy in looking smart instead of learning and developing. In a fixed mindset, if you try something you’ve never done before, say ice skating, you’ll likely give up after falling a few times. If you believe someone is just a “natural born dancer” or that you “just can’t dance,” you’re holding a fixed mindset. With a fixed mindset, you avoid new challenges like the plague because you’re afraid of being judged. As such, when obstacles arise, you tend to give up quickly. Because you don’t have many references for how humans learn and develop, you feel that putting forth effort is a waste of time. And you secretly feel threatened and envious of the success of others. Ultimately, in a fixed mindset, you don’t have a chance to develop your potential. 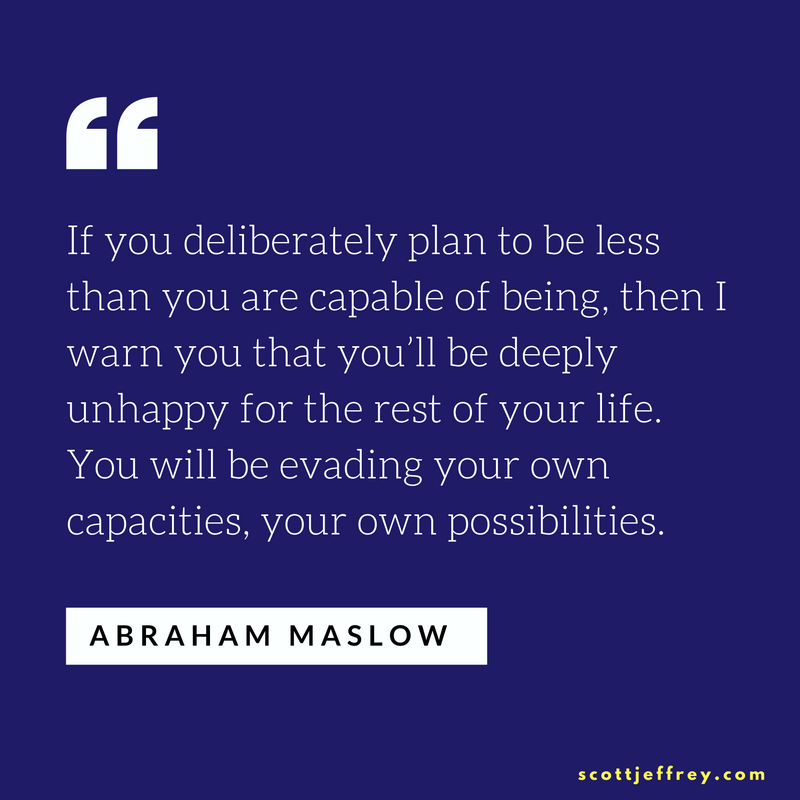 If you deliberately plan to be less than you are capable of being, then I warn you that you’ll be deeply unhappy for the rest of your life. You will be evading your own capacities, your own possibilities. It’s incredibly harmful to hold a fixed mindset, to believe intelligence and talent is static. Yet, most of us hold a fixed mindset in multiple areas of our lives. In a growth mindset, you believe you can develop any ability through dedication and hard work. Because of this belief, you have a desire to learn. This enables you to embrace challenges and persevere when setbacks invariably arise during the learning process. With a growth mindset, you view effort as an essential ingredient on the path to mastery. You don’t shy away from effort; you embrace it. And when you see others succeeding on their path to mastery, you find inspiration and lessons to learn for your own development. A growth mindset leads you into an upward spiral of continuing developing, reaching ever-higher levels of personal mastery and achievement. These self-actualizing individuals have more peak experiences, improved relationships, and greater productivity in their fields of endeavor. Dweck offers a self-test in her Mindset book. Questions 1 and 2 reflect a fixed-mindset. Questions 3 and 4 point to a growth mindset. You can take an online version of this test here. You can also have a mixed mindset, a combination of the two, although Dweck says people tend to lean toward one or the other. You also have beliefs about your abilities and personal qualities. Substitute intelligence for “creative abilities” or “business skills” and answer the above questions again. How about personality? Are you simply the way you are? Can you change your personality? You can have a growth mindset for intelligence and a fixed mindset for your personality, or vice versa. And in different situations, your mindset can change. Before diving into ways to change your mindset, it’s helpful to understand how a fixed mindset is created in the first place. Dweck’s research reveals two primary sources: praising and labeling, both of which occur early in childhood. The culprits are our parents and teachers. Dweck’s team ran an experiment where one group of students were praised for their ability and another group was praised for their effort. Although both groups were exactly equal at the beginning of the study, after praising, the ability praise group shifted into a fixed mindset. In subsequent tests, the group that was praised for their ability began rejecting new challenges and avoiding doing anything that could expose their flaws. Their performance plummeted. In contrast, many of the effort-praised students actually said they enjoyed the hard problems they were given more than the easy ones. The performance of this group continued to improve. Virtually our entire school system is built around ability-praising and labeling (judging) children based on their test scores (smart or stupid). Most parents, too, unknowingly establish and reinforce a fixed mindset in their children. Kids with the fixed mindset tell us they get constant messages of judgment from their parents. They say they feel as though their traits are being measured all the time. Dweck, apparently, can accurately determine a baby’s mindset simply by how the mother speaks to her newborn infant. Okay, now comes the fun part—at least, from a growth-mindset perspective. Let’s say you identify that you have a fixed mindset in a particular area of your life. What can you do about it? Dweck has found that just learning about the growth mindset can cause major shifts in how people view themselves and their lives. In that way, reading material like this article and the Mindset book open your mind to shift your perspective of what’s possible. Knowing the distinction between a growth and fixed mindsets gives you a new choice. The science of learning is backed by a basic understanding of neuroscience. Simply put, the brain is like a muscle. If you exercise it, it gets denser. You exercise the brain through the stages of learning. In the process of learning, for example, to play a C chord on the guitar, neurons in various parts of the brain begin making new connections. Through repeated practice, these connections get stronger. 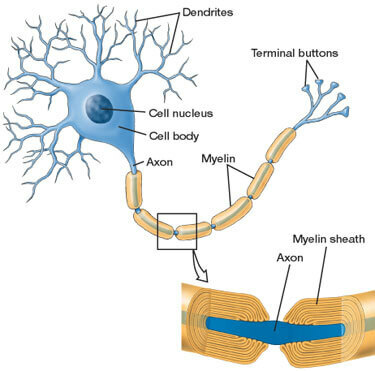 An insulation called myelin builds along the axon (the tube that connects neuron to neuron). More myelin means that the signal travels through the neurons faster with increased timing. That is, the more you practice, the stronger your brain gets, and the more automatic whatever you’re practicing becomes. This occurs with all forms of learning whether athletic, artistic, musical, mathematical, and so on. It’s simply how the brain learns. And this process doesn’t just happen in children. Then, neuroplasticity was discovered. In 1998, a study showed that the adult brain is actually capable of growing new brain cells. Neuroplasticity explains how neural pathways are always changing due to our experiences. As long as our brains are functioning properly, we can always learn, improve existing capabilities, and develop new skills. Our brains can grow as we age. So essentially, a “fixed mindset” is a wrong belief. It’s simply not true. With a fixed mindset you believe you are either born with talent or not. With a growth mindset, you know this last sentence is false. Perhaps the best ways to change your belief about talent is to read Daniel Coyle’s The Talent Code or Anders Ericsson’s Peak. Both books illustrate how talent is cultivated by deliberate practice. If you’re a parent with children in fourth through ninth grade, I highly recommend getting Brainology. Brainology is one of Dweck’s contributions to the education system. It’s an interactive learning tool with a comprehensive lesson plan that teaches students how to develop a growth mindset. Here’s a brief introduction to the program. A personal home-study version of the course is available. I took my son through the program. It takes four to six weeks if you space it out with all of the various exercises within the curriculum. Brainology is an excellent program and, as a parent, perhaps one of the best ways to strengthen your own growth mindset (by helping your children adopt it). A great deal of Brainology’s content explains how the brain works and how it processes information. The course covers material similar to what’s found in books like The Talent Code and Peak. But learning about a growth mindset isn’t enough. If you have a fixed mindset, you’ve probably had it for your entire life. The key to changing your mindset lies first and foremost in self-awareness. To change your mindset, you have to be able to identify the situations that trigger a fixed mindset and observe when you’re falling into it. Every life and business coach knows about the inner saboteur. It’s the voice that undermines so much of what we do; the inner critic that judges us and our work. The inner saboteur is the fixed mindset. Once you know you have a fixed mindset, you can anticipate this voice in advance. Then, simply listen inwardly for it. You can interpret these voices in two different ways: Challenges, setbacks, and criticism can be a sign that you have fixed talent and ability. Or, they can be a sign that you need to challenge yourself, step up your effort, change your strategies, and continue to develop. The former is obviously the fixed mindset; the latter is oriented toward growth. The key here is to shift out of the framework of judgment (fixed) and into the arena of growth. I sometimes find it helpful to write out this dialogues in my journal. There’s something about writing that makes it easier for me to connect with these inner voices. Plus, it provides a record of the conversation. You can then later review these dialogues and identify common patterns. Once you hear the fixed mindset voice and respond to it with a growth mindset, you then determine how to take the necessary action that will lead to growth. This might include taking on a new challenge, learning from setbacks, persisting without exception, adjusting your actions based on feedback, and so on. After you challenge the fixed mindset voice with the growth mindset, to determine the appropriate action, it helps if you ask the right question. Your questions determine your focus and greatly influence your reality. In a fixed mindset, our reality is dim and limited, your world is small. The more growth-minded questions we ask, the wider, brighter, and larger your world and possibilities become. 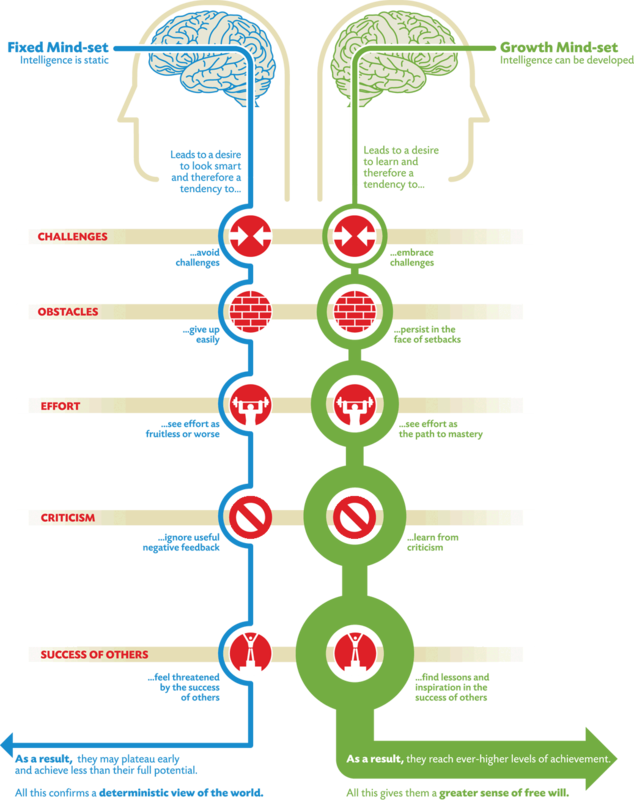 Since the release of Dweck’s Mindset book in 2006, a growing awareness of fixed and growth mindsets has entered the education and personal development fields. False growth mindset is saying you have growth mindset when you don’t really have it or you don’t really understand [what it is]. It’s also false in the sense that nobody has a growth mindset in everything all the time. Everyone is a mixture of fixed and growth mindsets. You could have a predominant growth mindset in an area but there can still be things that trigger you into a fixed mindset trait. Something really challenging and outside your comfort zone can trigger it, or, if you encounter someone who is much better than you at something you pride yourself on, you can think ‘Oh, that person has ability, not me.’ So I think we all, students and adults, have to look for our fixed-mindset triggers and understand when we are falling into that mindset. I have been interested in self-development ever since I was eighteen. 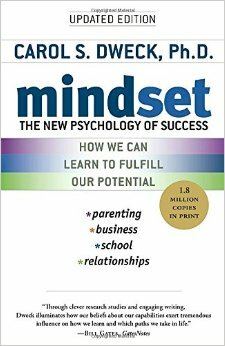 When I first read Mindset, I assumed that I had a growth mindset throughout my adult life. However, over time, I began to observe how I was subconsciously being influenced by a fixed mindset. For example, even though I might put forth the effort to learn something new, my learning was often stagnant. I was constantly hitting a wall when I tried to make changes to my personality or learn to play the guitar. This, I eventually realized, was due to a fixed mindset, conditioned during childhood. Although I have developed parts of my psyche in adulthood that have a growth mindset, all of my child and adolescent parts still have a fixed mindset. That’s why we all have fixed-mindset triggers. So if you’re on a growth path, but oftentimes feel like you’re floundering or getting stuck on a plateau, an unrecognized fixed mindset could be the reason. Identifying the fixed-mindset voice and the triggers that awaken it is the key to changing your mindset. Teachers were just praising effort that was not effective, saying ‘Wow, you tried really hard!’ But students know that if they didn’t make progress and you’re praising them, it’s a consolation prize. They also know you think they can’t do any better. So this kind of growth-mindset idea was misappropriated to try to make kids feel good when they were not achieving. So the growth mindset isn’t just about trying harder and harder, banging your head against a wall until the wall gives. Instead, it’s about working smarter. It challenges us to seek out proven strategies and to test them for ourselves. And if the strategy isn’t working, what does it mean about you? Absolutely nothing. It simply means you haven’t found the right strategy. The mindset paradigm is a cognitive perspective. It places learning in the context of our thoughts and beliefs. But there’s another perspective worth mentioning: the emotional dimension. A fixed mindset is governed by fear. As I pointed out in the self-mastery guide, within each of us are two opposing forces: one pulls us to safety and the other propels us toward growth. As Maslow articulated, when the delight of growth is greater than the anxiety of safety, we choose growth. But when the anxiety of safety is greater than the joy we experience from growing, we freeze. Psychologists call this freezing neurotic fear. When our brains experience appropriate fear, the flight or fight response signals a danger for us to avoid or eliminate. That is, appropriate fear triggers an action. With neurotic fear, in contrast, the flight or fight response is activated but with no resulting action. This signifies a fixed mindset. A person with a fixed mindset is more interested in looking smart than with learning. When you want to look smart, you are fearful of looking stupid. This likely stems from a feeling of rejection or ridicule from experiences in childhood; events that were stored in your unconscious mind, but that you probably don’t remember. If you’re able to access the part of you that had those experiences and feel them now, I believe you will naturally weaken the underpinning behind your fixed mindset. It may dissolve on its own. When we operate from a fixed mindset, we avoid trying new things, resist learning, stall our development, and act lazy. Yes, laziness stems from fear. These are all signs of neurotic fear. A fixed mindset is simply another context for describing our resistance to self-mastery. Another way to complement your mindset training is to become aware of the fear driving your behavior. Welcome this fear. Realize it has no basis in your present reality. And then let it go. Your mindset is part of your identity. If you can shift your identity, you can change your mindset. But how do you shift your identity toward growth? All available research suggests that skills and talents are developed through repetition and consistent practice. After identifying and refuting the fixed-mindset voice, taking the growth-oriented action, again and again, is the key to changing your mindset. It doesn’t happen overnight, but through repeated, deliberate practice, new skills are born. Each noticeable improve becomes one more reference point of your capacity to change and growth. Every new skill you develop weakens the fixed-mindset voice. Eventually, this voice becomes a mere whisper in the background of who you are becoming. From the standpoint of self-actualization, peak performance, and personal development, adopting a growth mindset is a necessary prerequisite. Learn to hear your fixed-mindset voice. What does your inner saboteur say to you in an attempt to keep you from putting forth the effort? Understand that a fixed mindset stems from fear. It might be a fear of failure, a fear of looking stupid, or a fear of being judged, but fear is always what holds us back from reaching more of our potential. Welcome in the fear. Unacknowledged fear lies behind a fixed mindset. Welcome it. It’s just an emotion. If you can stay present with the fear, it will dissipate, and therefore stop dominating your behavior. Realize you have a choice between fixed and growth. Mindsets are just beliefs. You can change your mind about your beliefs. Refute the fixed-mindset voice with a growth mindset. The fixed mindset is a limited and misinformed viewpoint. Challenge it with your new growth-mindset knowledge. Journaling is an excellent way to have this inner dialogue. Take growth mindset actions that move you forward in your development. Small, incremental actions are best. Stay flexible, pay attention, and adapt. If you’re not making progress with your effort, this doesn’t mean anything about your capability. It generally means you need to take a different approach or try a different strategy. Now, what’s one thing you’ve always wanted to learn or change about yourself? Apply the lessons above and go make it happen. Dweck’s book is on my list of one of the top 10 best personal development books to read.